things that make me happy! 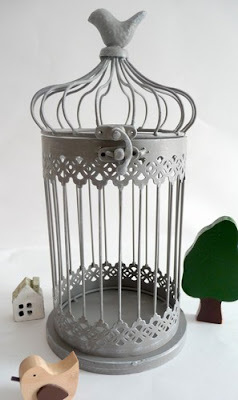 : Birdcage Transformed! Then, one day, i suddenly got a bright idea! i could modify it into a bedside lamp! :D But i had no electrical know-how to do such things. So its crafty dad to the rescue again. I told him about my idea and he said "yes! so easy to do!". And with that, i went ahead to buy the birdcage and he went ahead to buy the 'tools' - light bulb, wire, switch and plug! And here's it, the modified birdcage bedside lamp! yes pls yes pls! gimme some. thanks!